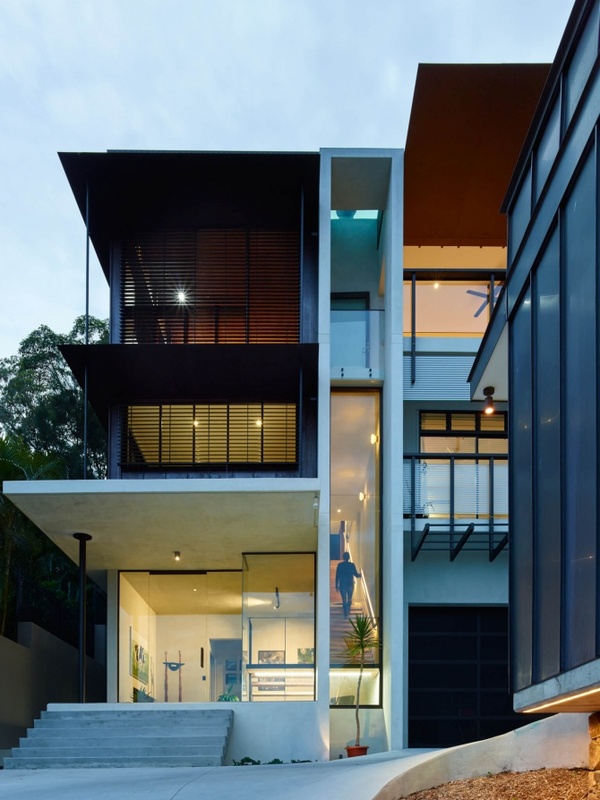 This house is very much about being on the edge. 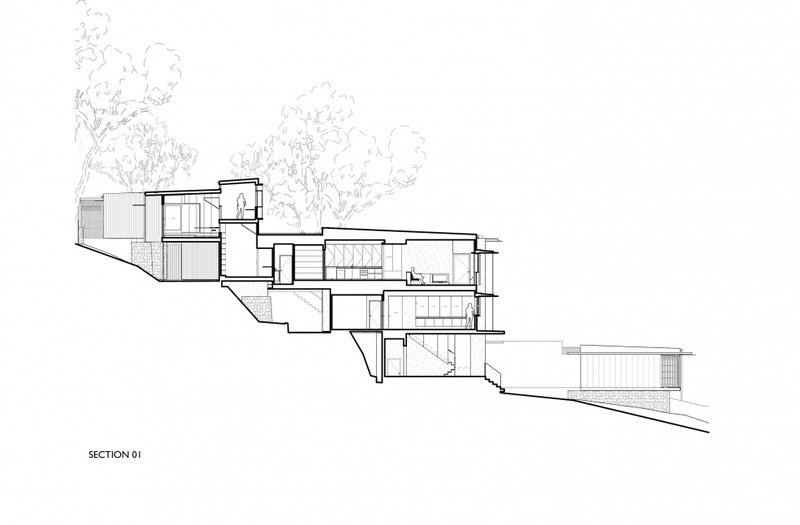 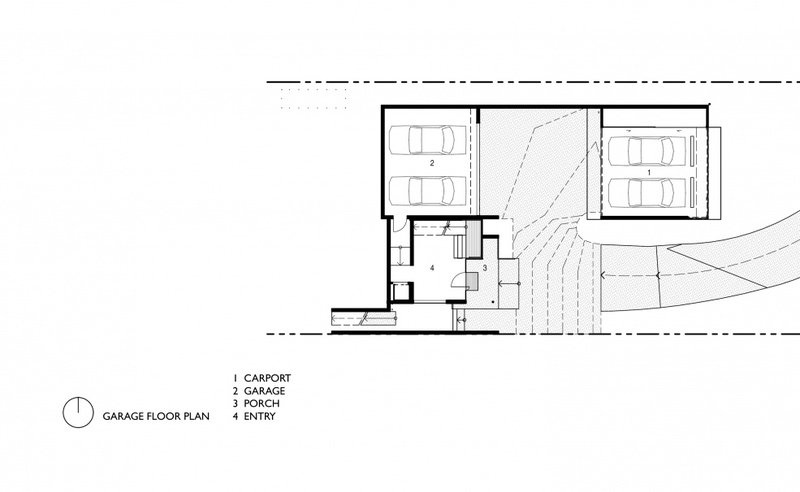 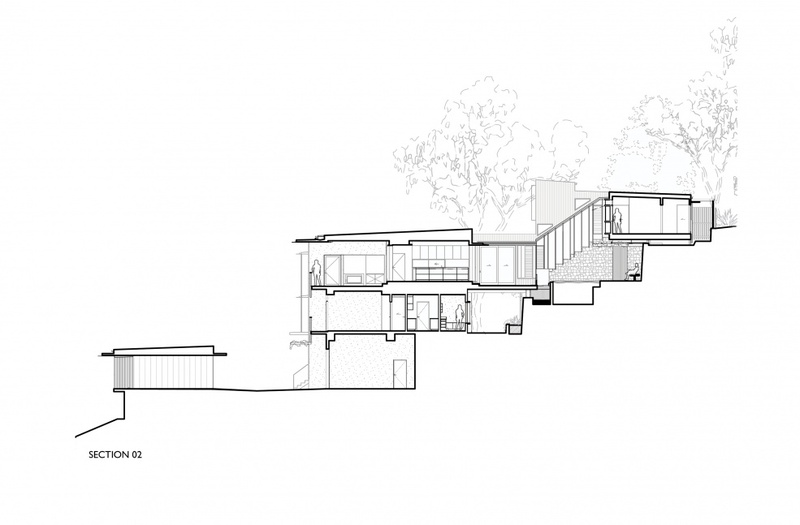 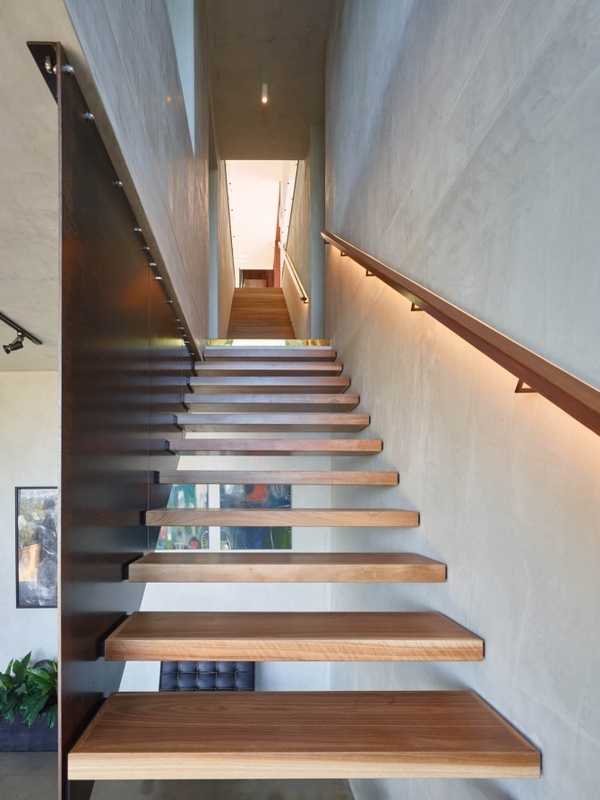 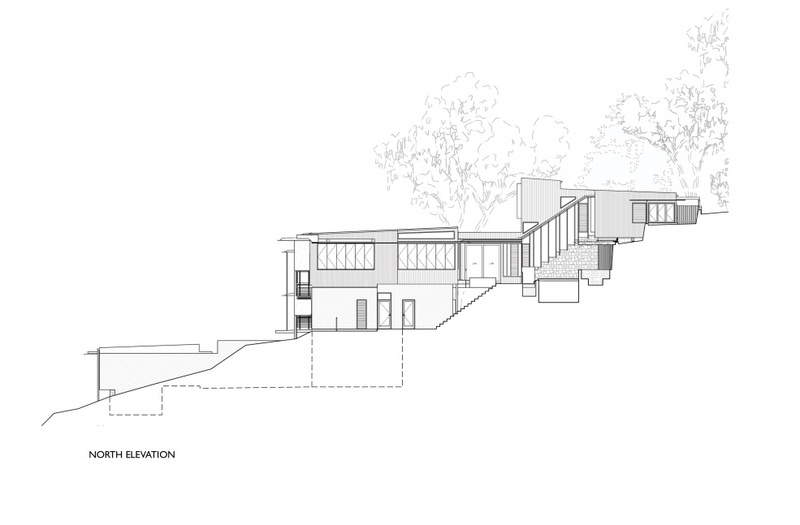 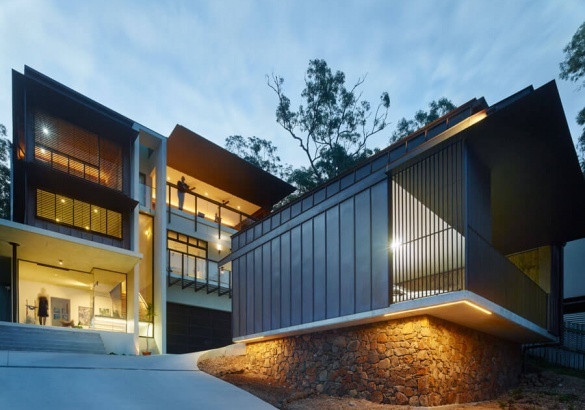 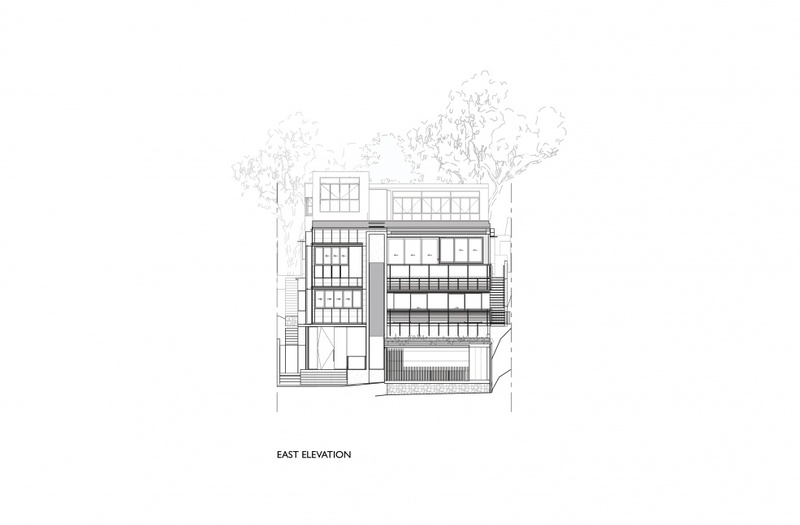 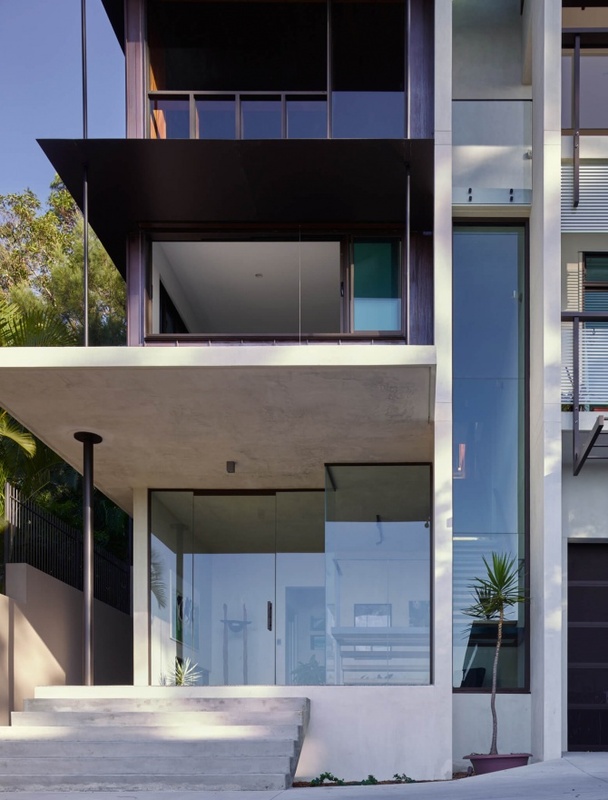 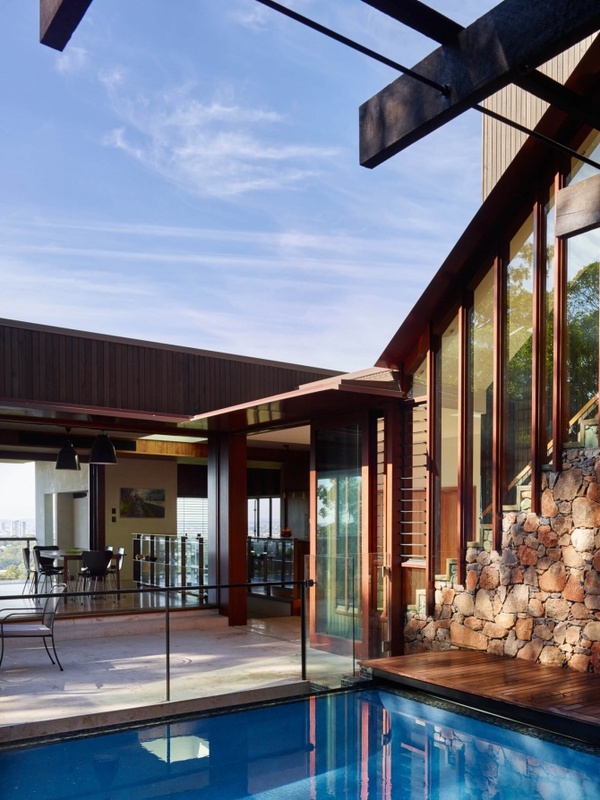 Bardon House situated on an extremely steep site with bush reserve behind and expansive city and bay views to the front, the house is envisaged as being simultaneously cliff/citadel/cave/tree house. 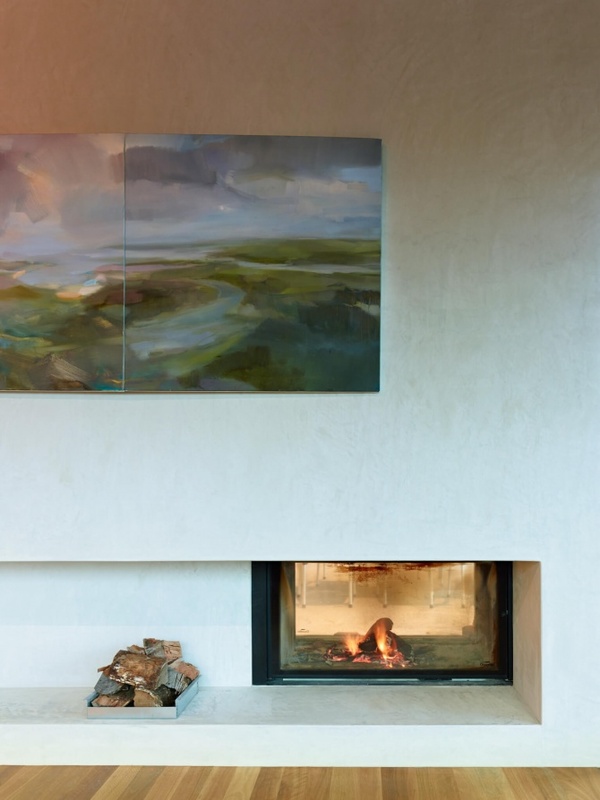 The powerful idea of providing both ‘prospect and retreat’ is pursued with numerous hermetic spaces deployed to balance the huge views and dominance of the horizon. 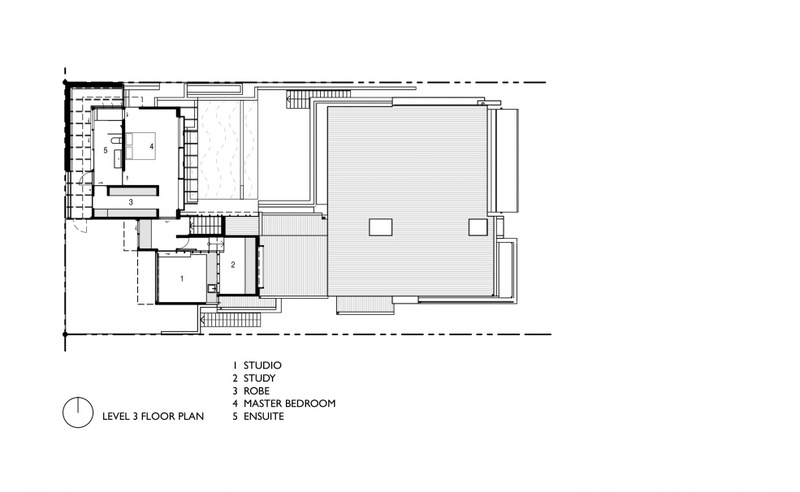 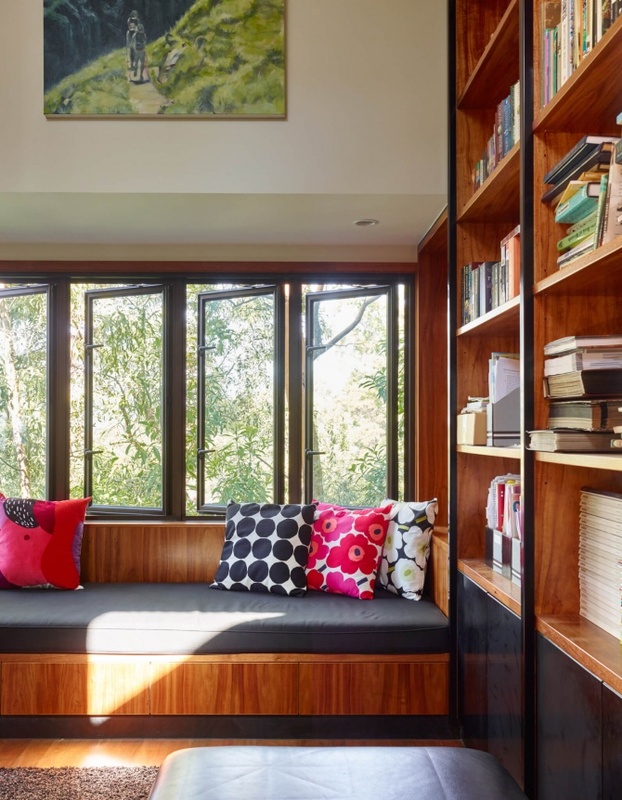 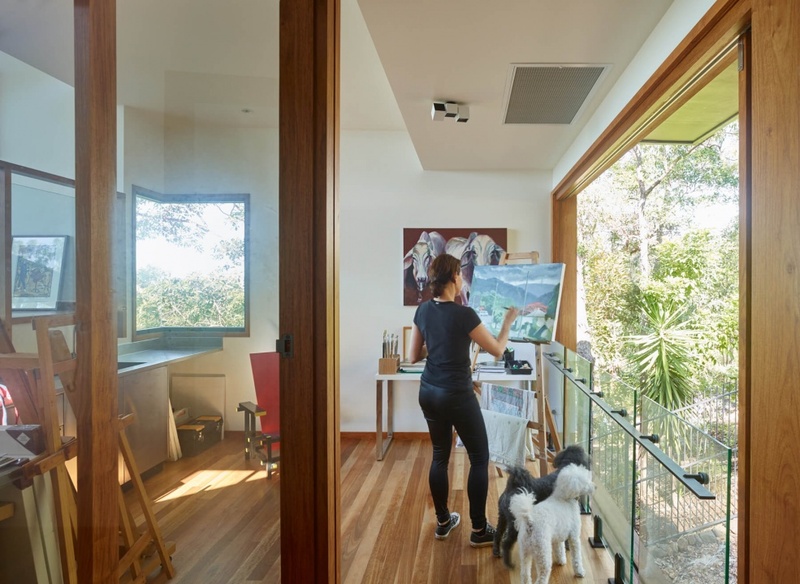 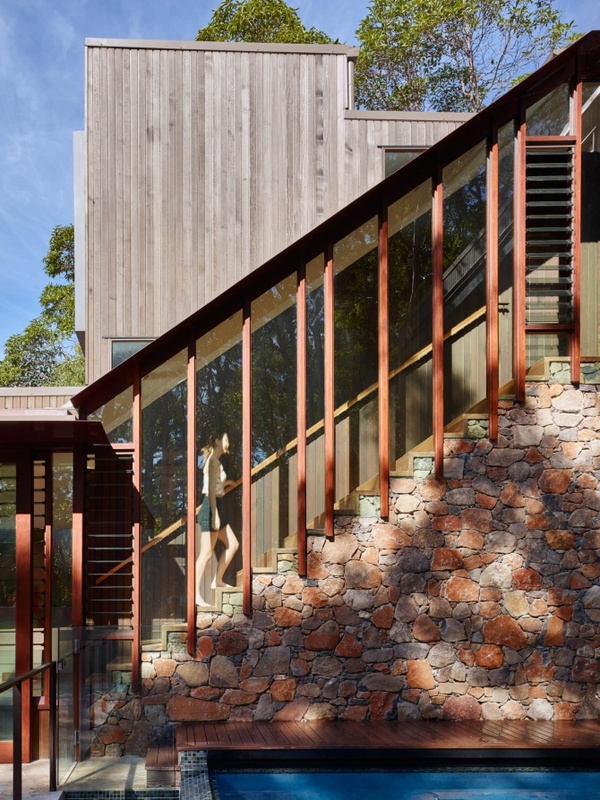 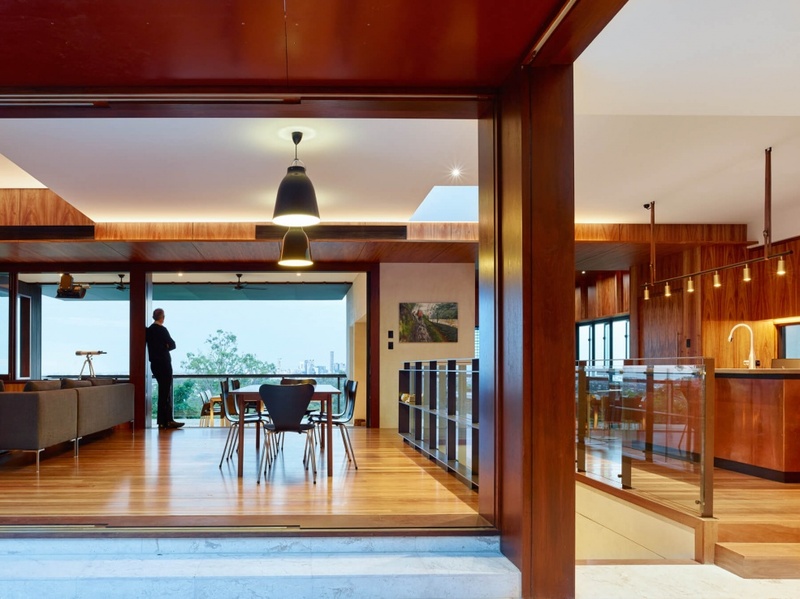 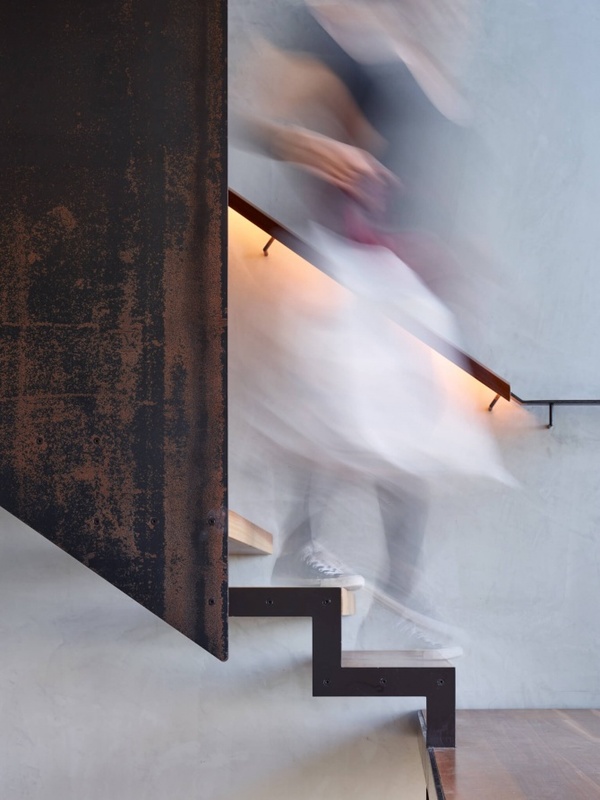 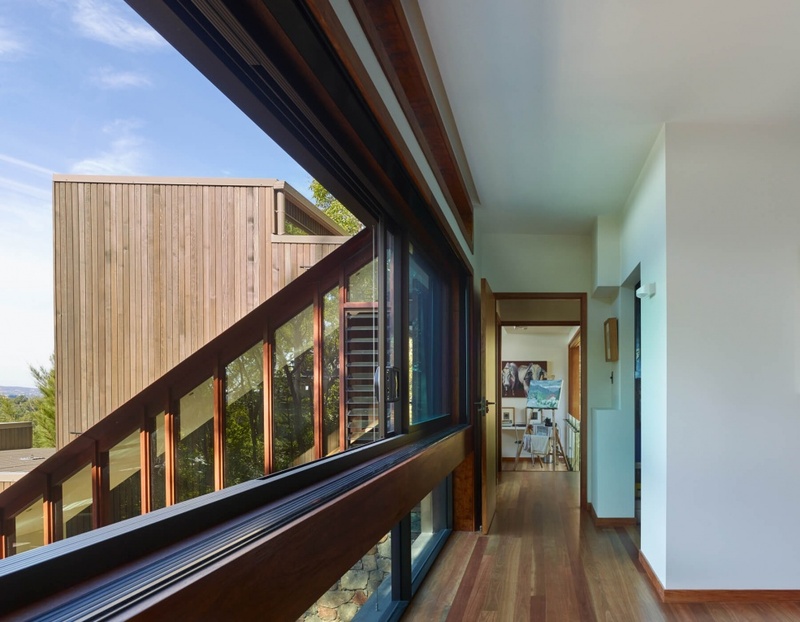 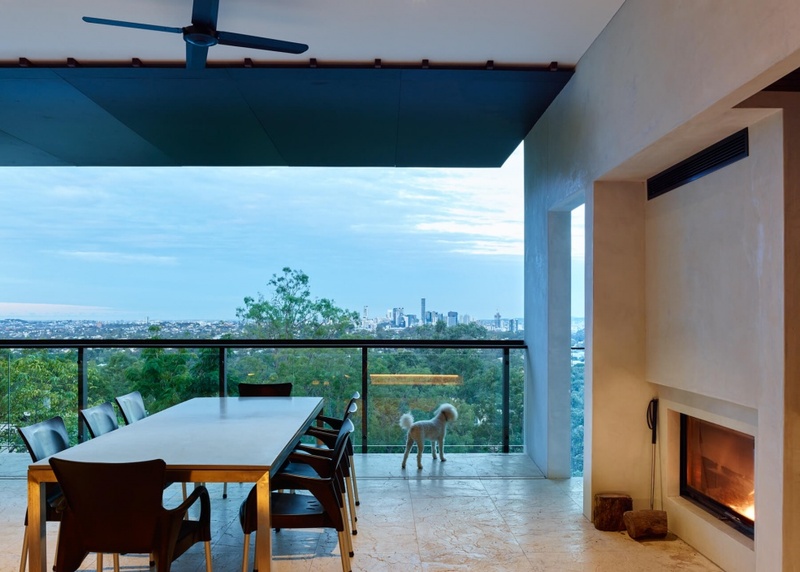 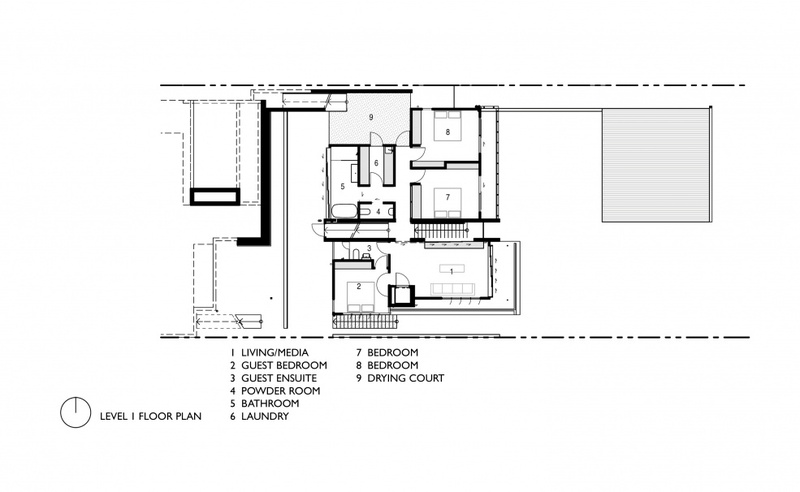 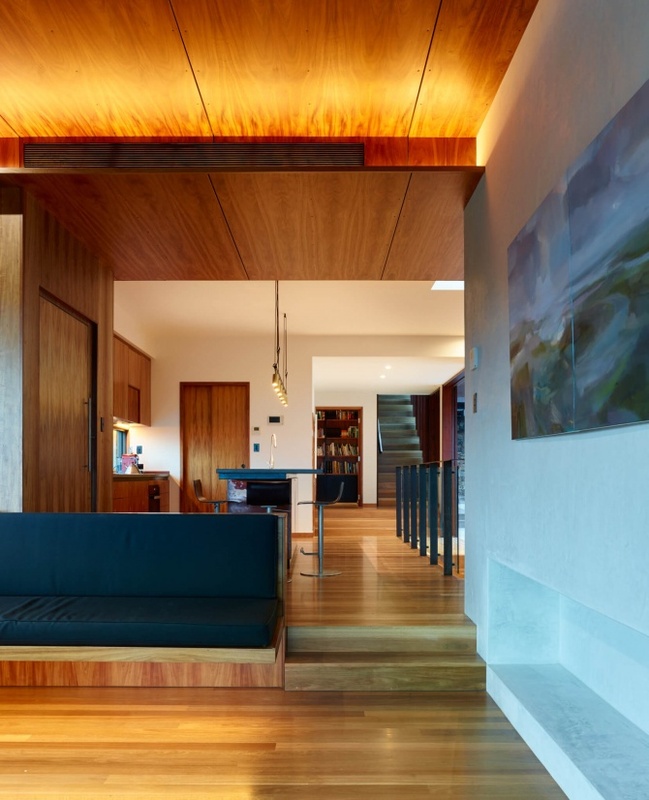 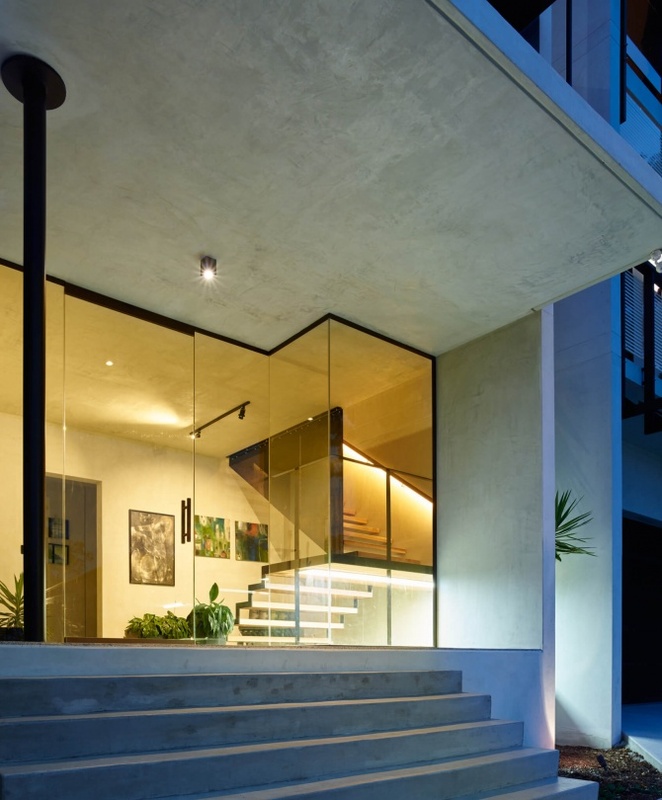 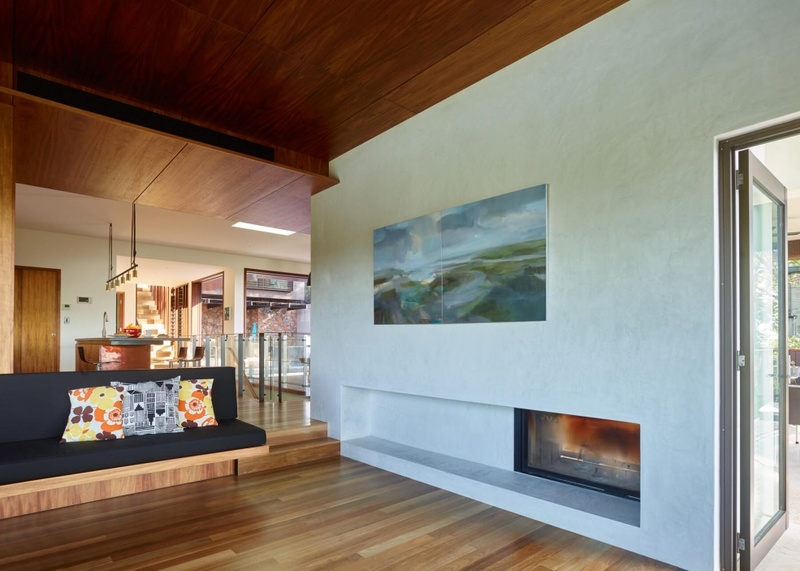 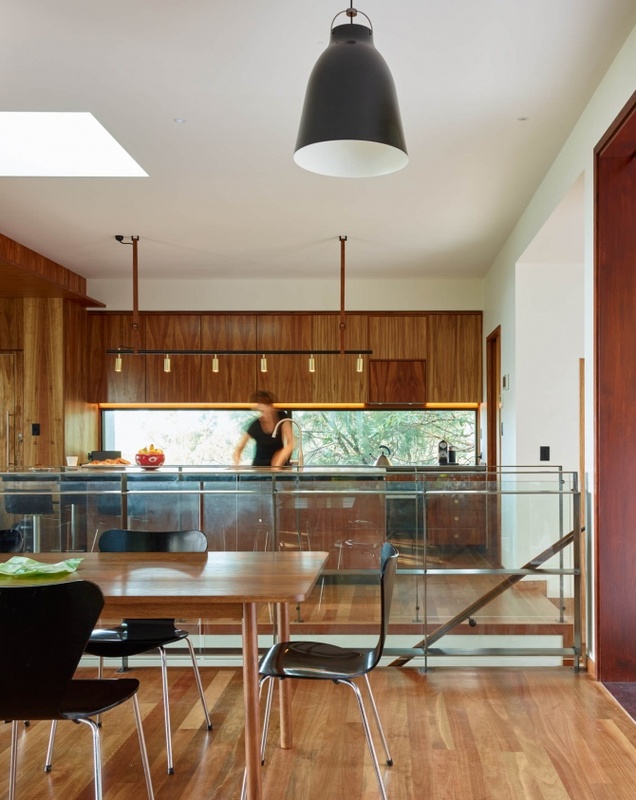 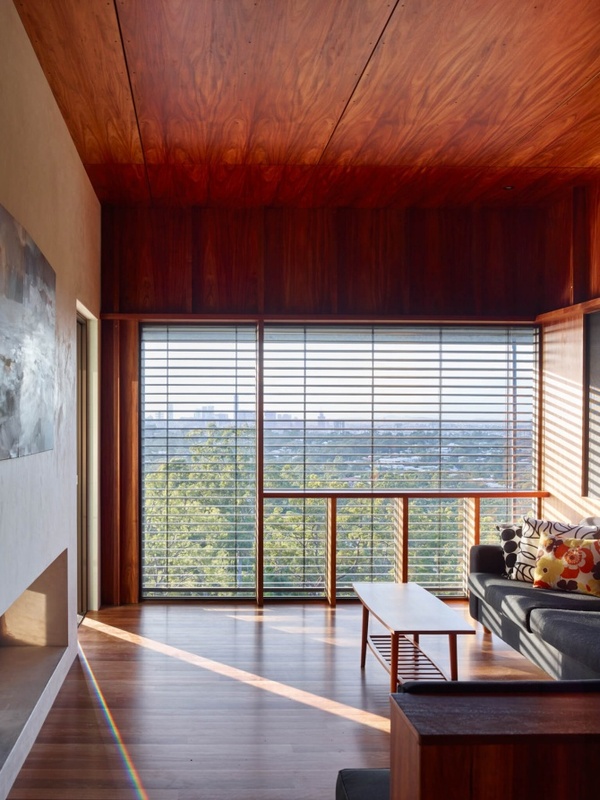 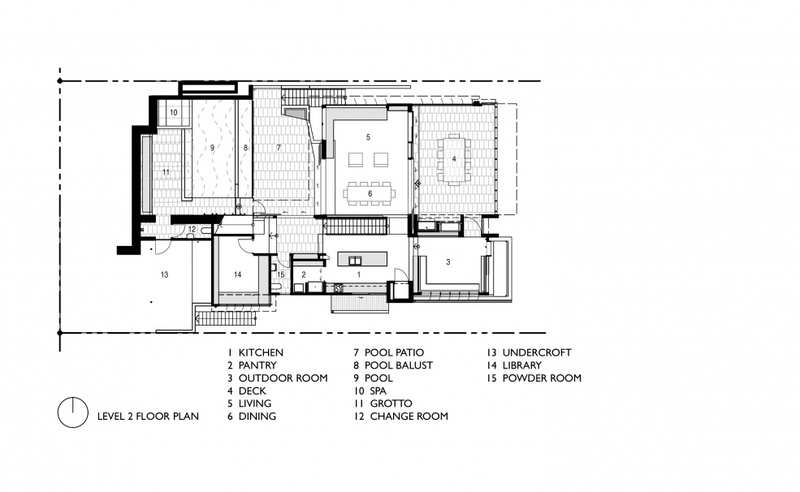 These include a double height book lined library, an art studio that engages directly with the bushland at the rear and a ‘grotto’ or cave that overlooks the pool and through the living room beyond to the city skyline. 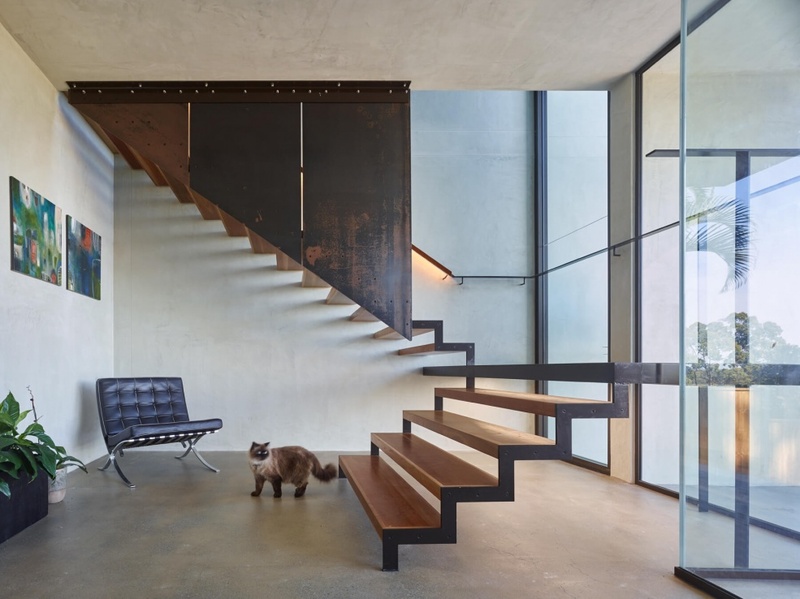 The courtyard of Bardon House on the main level platform is discovered after the ascent of the central stair that cuts through the house. 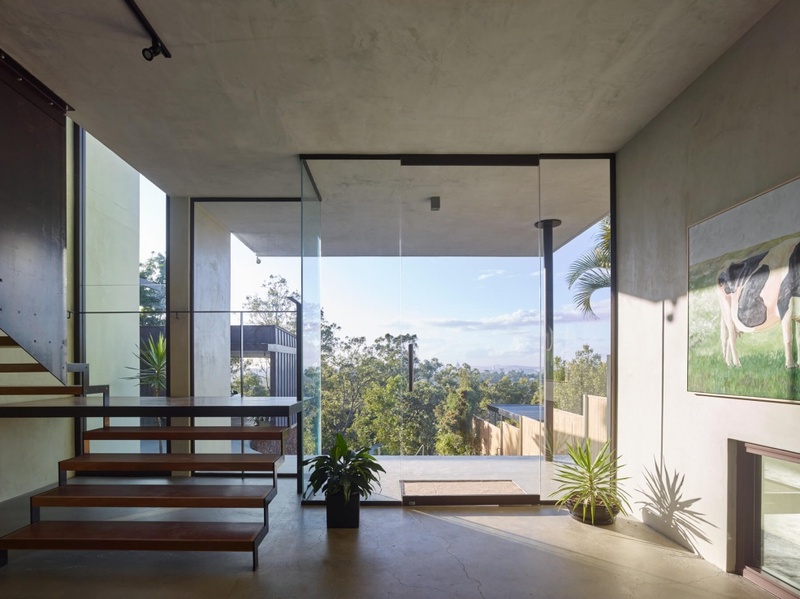 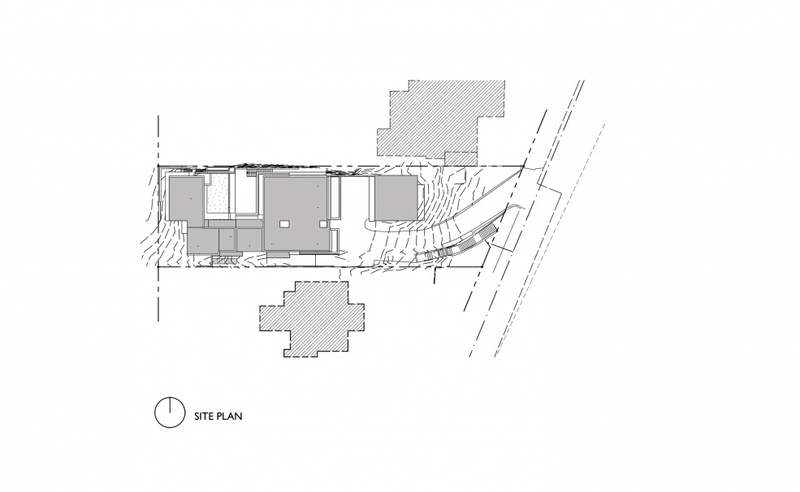 The courtyard is at the heart of the main level platform and gathers the public rooms of the house in a way that echoes hilltop monasteries or citadels. 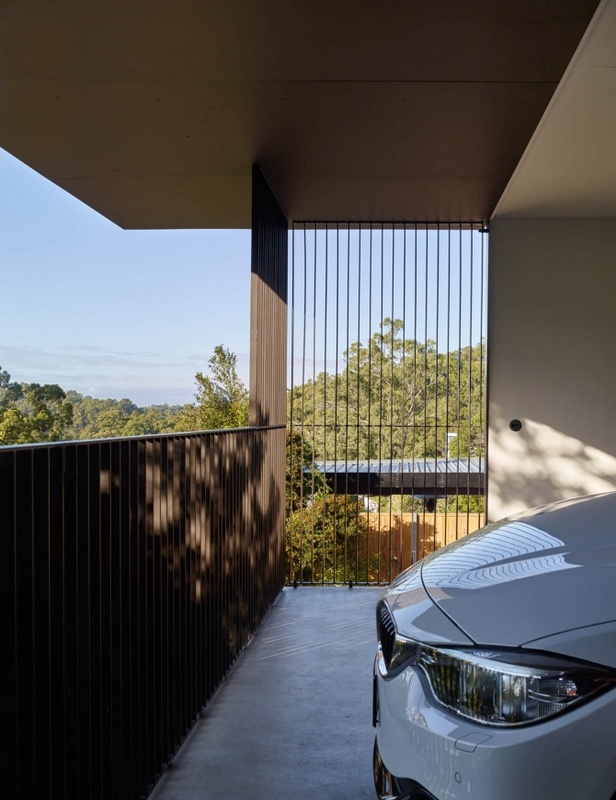 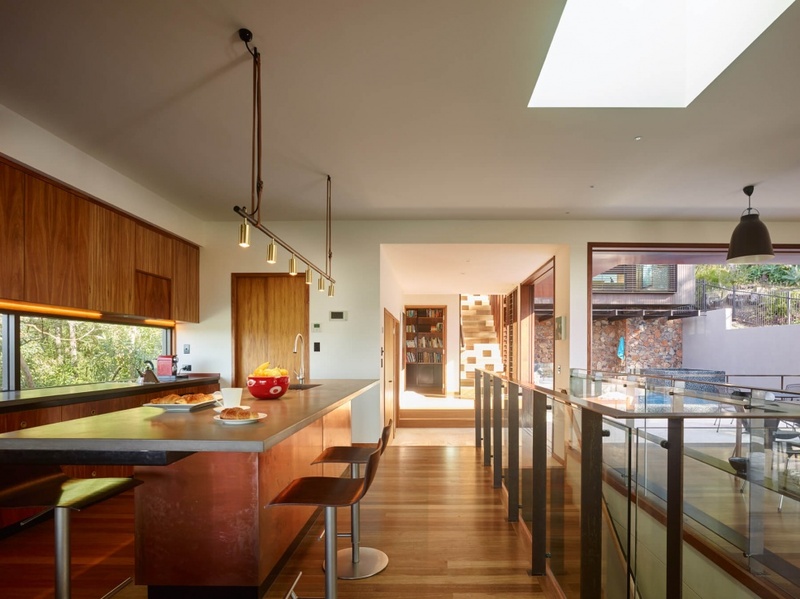 On a pragmatic level the courtyard acts to bring in northern light, make a piece of level ground and enable single room wide planning for excellent passive ventilation.